Drinks are a necessary part of the daily diet but also an important component to planning parties. Often the first question we ask our guests has something to do with drinks. 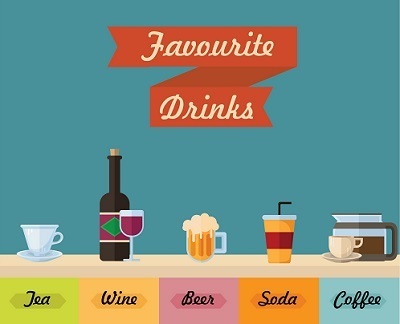 There are many different types of drinks including water and flavored water, carbonated beverages like soda, fruit juices, warm drinks like coffee and tea, and adult alcoholic beverages. Everyone has their own particular preferences when it comes to these drinks, either preferring coffee to tea or juices to sodas. When planning an outdoor event, often hosts will fill coolers with a variety of beverages, ensuring everyone can choose their own. When it comes to alcoholic beverages served with meals, each guest generally gets the same thing, specially chosen to match the main course, as well as a glass of water. In daily life, being conscious about beverage choices can affect daily moods and long-term health. Not realizing how much sugar is in a soda or the effects of other sweeteners can cause mid afternoon crashes, and regular consumption can lead to medical problems like diabetes and obesity. Choosing beverages that are low in calories and high in nutrients and antioxidants, like certain juices and teas, is very beneficial to overall health. This site offers advice and tips for finding the ideal drinks for your lifestyle.